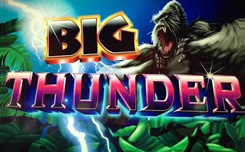 Big Thunder slot, equipped with five main and one additional drums and has 30 lines. Among the symbols you can see: a drum, a waterfall, a mask, a boa constrictor and others. 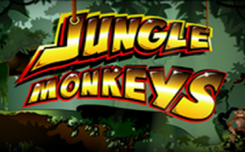 Wild (gorilla) appears on the third, fourth and fifth drums. It does not form the combination itself, but replaces the usual elements in the chains. Scatter (Big Thunder logo) is paid regardless of the location on the screen. Winnings are calculated at the general rate. At least three scatters begin to free spin. During these rotations, the sixth drum grows in size and becomes the same as the usual five. 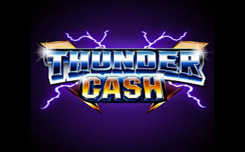 Big Thunder symbols and multipliers x3 and x5 increase the payouts. 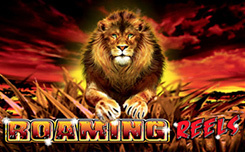 King Strike (golden crown) falls on the sixth drum in paid spins, where it is interspersed with empty cells. 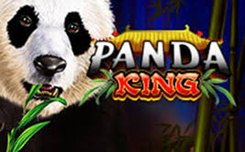 King Strike Bonus – If on five reels a combination of five identical symbols is formed, and in the sixth column the crown you become the owner of one of four jackpots. The presence of the sixth drum is interesting. 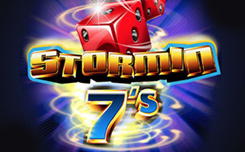 Free spin, four jackpots, numerous combinations, additional multipliers and other functions are capable of capturing any user.